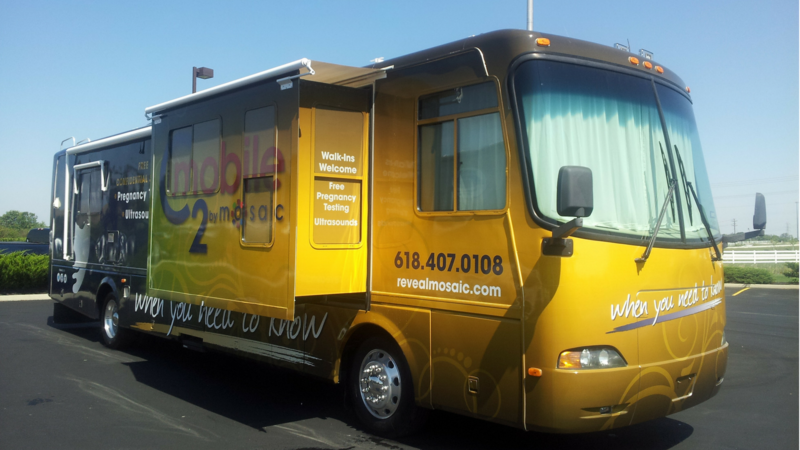 C2 Mobile by Mosaic is a mobile medical unit that takes two of our strategy steps, Counsel and Connect (C2) to our clients by offering free pregnancy testing and ultrasounds. No longer shall we have to wait and hope for vulnerable women to find their way to us. With C2 Mobile, we will take the message of truth to them by providing vital information on pregnancy, abortion alternatives, ultrasounds and most importantly the Gospel of Jesus Christ.